I decided to go this Fashion history exhibit in the Met to capture an experience of a design. 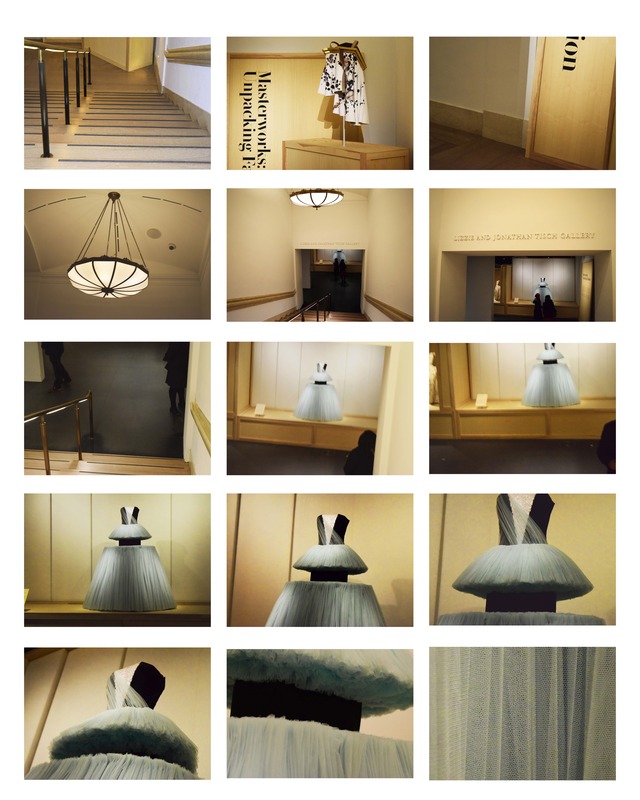 I incorporated walking down to the exhibit all the way until the zoom in on the main dress piece of the exhibition. Final photograph showing the fabric of the dress to sort of complete the “experience”. I could have gone either way by just taking pictures of the intricate dress or by just taking pictures of the entrance to the exhibit. But by designing both the experiences together I feel like it builds up the drama and works in this composition.